I just finished reading my last Christmas card…the day after Christmas. I wanted to take the time to sit down in a quiet space and catch up with the notes and letters from old friends and far away family. I read and wondered where the year went. I thought about the many times I would get through some big event, only to have another something “big” ahead to tackle. The days come and go seeming long at the time. Yet, somehow the year goes by so quickly! This year, I am vowing to manage my time, just a little bit better. Knowing that I am the only one who can do that. I know too, that if I don’t, it affects every part of my life. Each day offers many choices…and by saying no to some, it allows me to say yes to others. I am learning that everyday leaders must be intentional in their choice. I want my choices to be about making a difference, about investing in others, about being the person God has called me to be. Today I had to make one of those choices. I was looking forward to some time alone and looking forward to the time to regroup. Then the email came. Someone needed help. I longed to save my time for me, but also knew I would still have it. It was an older gentleman, no food, alone, family was all away, no transportation. Somehow, there was extra food from yesterday – even an extra ham to share. When I stopped he was uncertain. We talked and I gave him the items. When I left, I had the privilege to pray with him. I watched as he held his face with his hands, I noticed the tears that slid down his cheeks. I cannot imagine what it must feel like to have been a strong provider, strong believer and yet now, finding one in a place of desperate need and feeling so alone. I wondered if the next door neighbors had any idea, and if they did would they do something? I wondered how his life got to this point. I am reminded the gift we each have of time, of the opportunity to influence the life of another, to love one another. The days are long – yet they never quite seem long enough to fit it all in. We have good intentions, but the actions don’t always make it. Before we know it the year is over once again. Every day leaders savor the moments that we have been given. We know that we must choose how we spend our moments, to balance it all out and to make our days count. We know it also means to take the time for the unexpected opportunities and the privilege to invest in another. 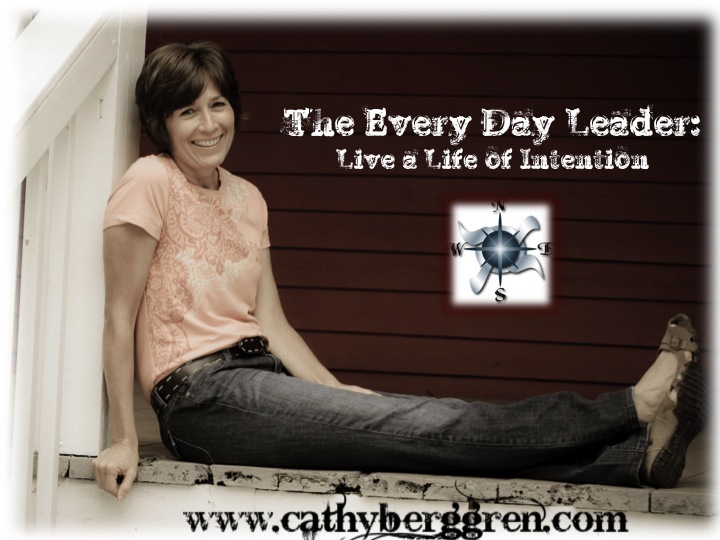 This entry was posted in leadership and tagged Cathy Berggren, choose what matters, Christmas cards, every day leaders, intentional, intentions, leadership, new year by Cathy Berggren. Bookmark the permalink.